Central location NOR, close to shops and transport. 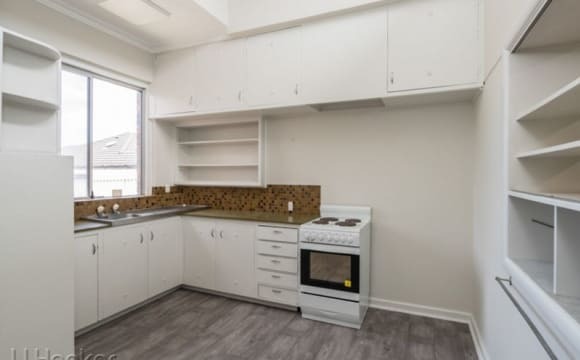 Older 3 x 1 duplex, small, comfortable, and easy to maintain/clean. A quiet place where you can relax and find solitude. 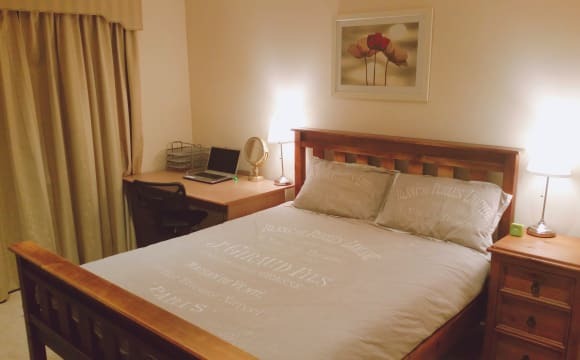 Large room for rent (main bedroom size), minimal furnishings (wardrobe, dressing table, single bed, bedside table) most can be removed if you have your own furniture. 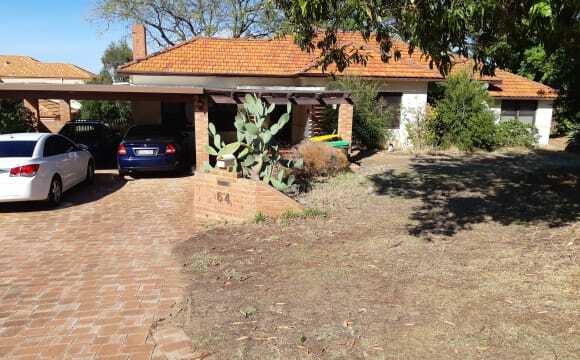 The property is centrally located in Tuart Hill with Grenville Reserve literally across the road. There are plenty of bus routes in the area and Glendalough train station is a 15-20’ walk. There are some amazing restaurants close by with a lot of them on ubereats. Ensuite bedroom available for rent. House and furniture is of a high standard. Gas heating and air-conditioning. Great kitchen. Less than 10 minutes to city (more in peak-hour). Good access to main public transport arteries. Living with two 30 year old male professionals. Get in touch if you'd like to know more. The place is brand new and the split layout means that your bed/bathroom are up the back of the house and my room is at the front with the kitchen/living in between. The bedroom is the master, so it's large with high ceilings, an ensuite bathroom and it's own aircon (so you can have your room chilled without having to cool the entire place). It also has big floor to ceiling built in robes with shelves/drawers/double rails installed (you can seriously fit a lot of clothing into this bad boy ;) ). Room has a beautiful fabric upholstered queen bed with underbed drawers and a mattress. The place is super secure, especialy the outdoor area for a dog.. I have netflix setup so you are welcome to hijack my account and all the furniture/appliances - although if you have anything you really want to bring I'm happy to accommodate extra pieces and free up cupboard space. There is also a big double garage, so your car can have a spot in there and plenty of storage space. Great location close to the city, modern apartment with all the nesscessities. 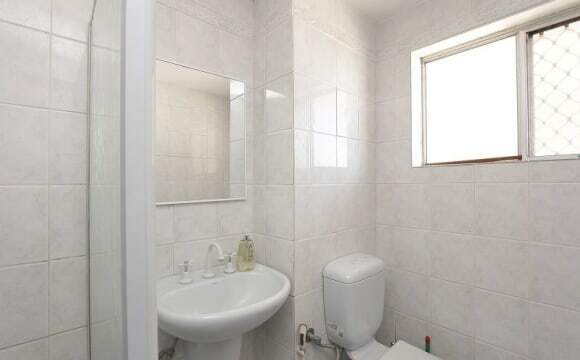 Room is spacious with built in wardrobe, reverse cycle air con and own bathroom. Duplex townhouse, 3 bedroom, 1 bathroom, fully furnished, recently renovated, large living room, large backyard, garage at back of property, all bills included in rent, close to freeway, bus stops outside, close to train station, very central location, plenty of restaurants and cafes nearby, Netflix and Stan on the main living room TV, new NBN installed. Netflix, ducted air con, spacious kitchen and built in wardrobe. Available now! 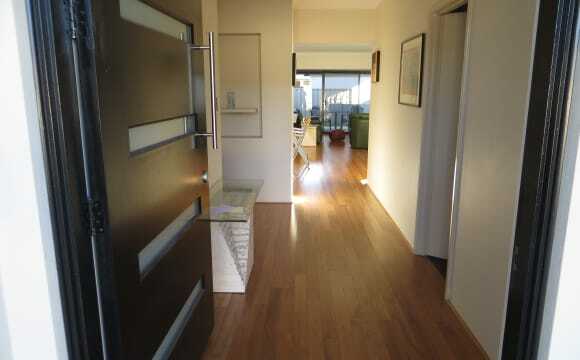 The home is in a very convenient location close to public transport to city, beach, shops, cafes. Decent sized room measuring 3m X 3.3m. The house beautifully renovated, alarmed, secure with roller shutters, outdoor bbq &amp; al fresco, vegie patch. 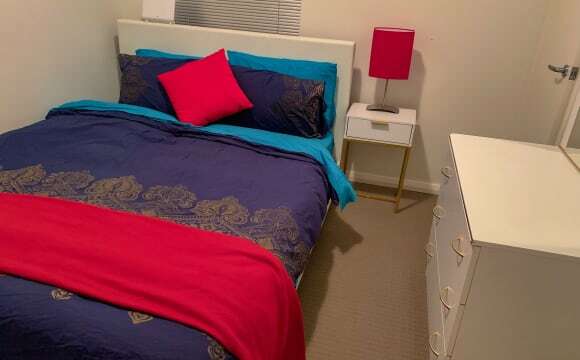 All bills and internet included -	1 minute walk to bus -	1 minute onto the freeway -	10 mins drive to the beach -	8 mins drive to the City/Northbridge -	5 min walk to Osborne Park cafe strip, gym, library, IGA, PO, park If you are interested please contact us with a brief introduction to arrange a visit. Thanks :) Sutiable for students at Lexis, Language Links, Phoenix, Navitas, Kaplan. ECU Mt Lawley. Buses available close by. (This room is not suitable for more than one person occupancy) P.S No furry friends or smokers allowed. Sorry.. 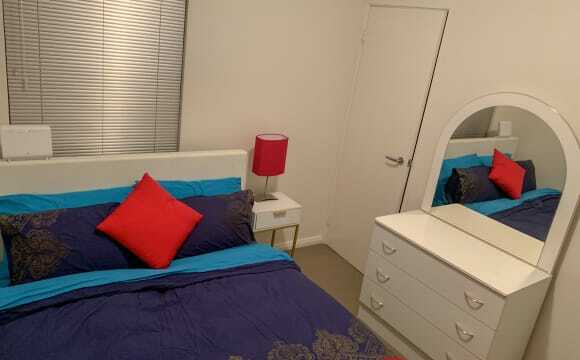 Spacious master bedroom (3.5m x 4.2m) with queen bed, study desk, storage, TV. Bills and internet included. 5 min drive from Perth City CBD. 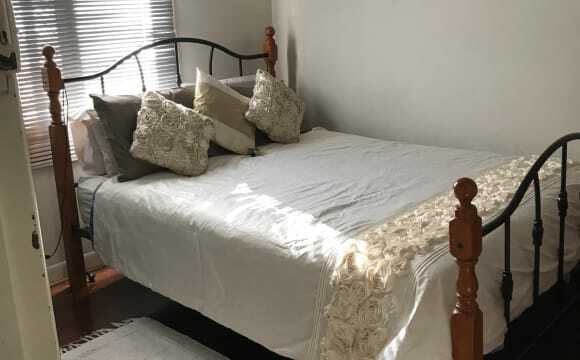 Convenient central location - 1 zone to city (1 minute walk to bus stop) - Closest Train Station is Glendalough - 5 min drive to the City/Northbridge - 5 min walk to Osborne Park cafe strip, 24hr gym, library, IGA, PO, park - Next to industrial area so plenty of jobs - 12 min drive to the beach - Street parking available BBQ, Alfresco dining area, vegetable patch, fish pond. My place: Pro - close to Nandos Tuart Hill. Con - close to Nandos Tuart Hill. It’s the back unit of three, has double remote controlled garage, three bedrooms, two water closets, one shower, one bath. It’s fully furnished apart from the spare rooms and has ducted evaporative air con. Both spare rooms (3mx2.7m) have robes (one double robe, one single robe). All windows and doors have security screens. Spacious home in central location - 10 minutes from the CBD, close to Innaloo and Karrinyup shopping centres, with nearby parks and lakes. Large open plan living area; separate theatre/music room. Well-appointed kitchen, split system air conditioning, large walk-in linen closet, huge pantry, 2 fridges, garage parking available. 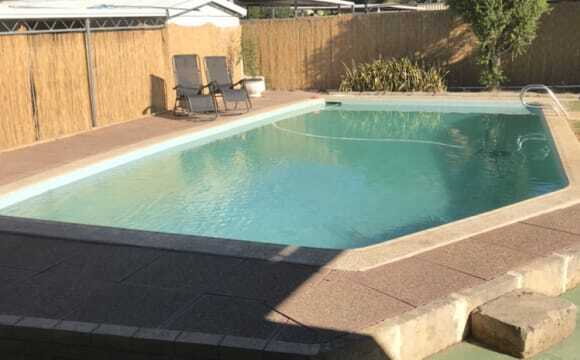 All bills and unlimited NBN internet included. A modern 3 bedroom house that is 1 bus ride into the city. We are a very clean, tidy and organised house and have Netflix, stan, Spotify and aircon. 1 parking bay available in the front of the house and is shared with 1 other housemate. There is ample street parking close by. The last room available is furnished with a single bed and can be made available unfurnished as well. It can be a queen bed with room for a desk etc as its a spacious room and you can see the city. Internet is included in rent, water, gas and elec is split between us all. We are an energy smart house and like to keep all bills low. 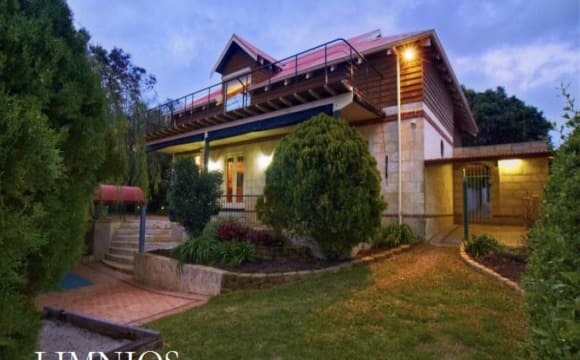 The house is well situated, near plenty of shops, public transport options, and a gym. Just set back from the corner of Wanneroo Road and Morley Drive on peaceful street. Cosy home with all the amenities, including a well equipped kitchen. Air conditioning is installed, and internet is included. Easy to park your car, with lots of room out the front. Pet friendly. I have a gorgeous cat who is friendly and quiet, and loves a cuddle. As for myself, I love books, crocheting, and films. Not a party person at all, and am quite quiet, but always up for a chat. Everything is close to our house. Trains buses,beach and cafes. Huge room in a nice old house that we have been in for 1year. 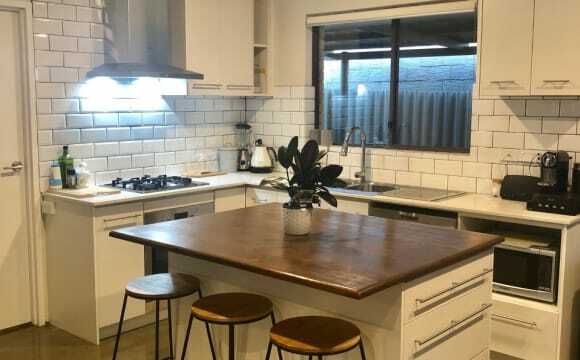 Very bright and open, close to Dog Swamp and bus stops to the city very close. Room has large built in cupboard, fan and A/C unit. 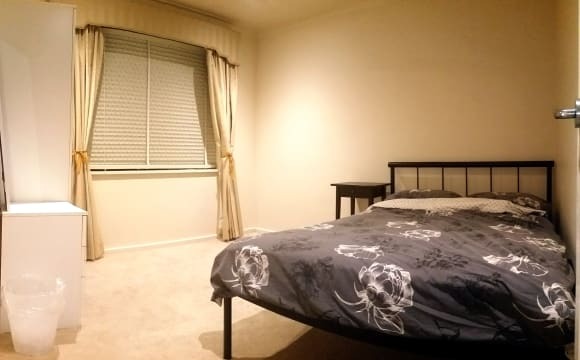 Unfurnished room $130/wk + 4weeks for bond, 6 month lease to end mid september. No pets allowed :( Photos of house from early 2018, it is now fully furnished but enough room to bring your own things. A quaint cottage with high ceilings and polished floorboards. Bifolds open to verandah for private time to contemplate. I'm looking for a boarder who would appreciate a furnished double room. The person would be neat and tidy with no pets. Non smoker . Must be employed. Close to shops, parks and transport. 7.9km to CBD. Our place is in Yokine right near a bus stop into the city. The house has a huge backyard and outdoor area and is fully equipped with furniture etc We have Netflix, Stan, Amazon Prime, and a ps4 if you enjoy gaming. We have a beautiful big tree in the backyard with views od the city. Huge pool, massive outdoor chill area. I’m away allot too. Discounted rent, I would be paying allot more. I would require someone to walk/feed dog if im away 2-3 days a week. Sweet deal for someone who wants a little more space to them selves and loves dogs. Reduced rental price to find a great flatmate for a great home... 4 bed 2 bath older style spacious villa with great outdoor patio. Own area of the house includes 2 rooms, bathroom, toilet, own entrance. Parking off street. Quiet neighbourhood with leafy gardens. Landlord lives at the front house and has free reign to come and go and take care of the garden for us. He is lovely and unobtrusive. All bills included. Internet water rent foxtel cleaner every now and then. After a flatmate who would be up for helping to look after a cat that comes with the house. He’s no trouble and he’s fairly unaffectionate but if we are not here we would like a flatmate that would help look after him. Fantastic room with private bathroom fully furnished. The house is only 7 years old, with everything you need, fast internet, netflix. The room is fully-furnished and I am happy to accommodate any reasonable requests. The bus stop is 250 meters away. Less than 10 min drive to train station. Quite beautiful street. Alarm. Security features available. The room has build-in wardrobe, vanity table with draws, bedside table. Fantastic room with private bathroom fully furnished Parking $185 per week include all bills and fast internet, netflix. I am 30 years old professional female working as a finance officer and looking for a reliable, friendly female to share my house with If you interested to inspect the room and meet with me. I am looking for someone who is tidy, respectful, friendly, social, but not party animal. Please send me a brief description of yourself your occupation and gender. 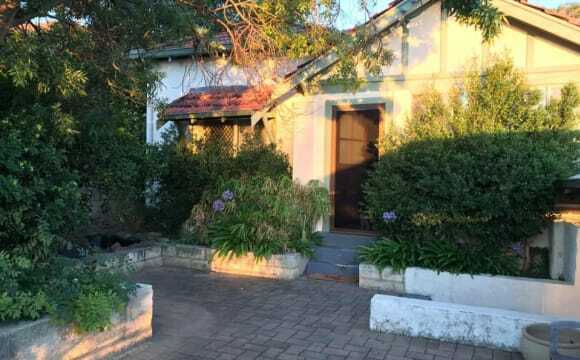 It is newish house, with everything you need, 250 metres to the bus on flinders. Less than 10 min drive to train station. Quite beautiful street. Prefer more mature only age 25+ Short stay also possible eg. 1 week. No minimum stay. Price all inclusive. This is 1 big room with 2 queen beds There is a dividing curtain in between $200 per week for the private bathroom $120 for the spare bed with shared bathroom. A pretty casual house, 1 aussie, italian and japanese. Mature attitude to respecting others, noise, and taking care of things is required. All female bedrooms upstairs. Parking is a garage spot with remote control entry.